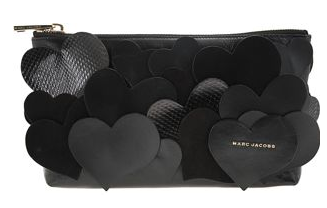 First I love the "Love Story" Collection from MJ...super whimsical and fun, plus black hearts? Genius. Second, I love this picture from Style.com a modern day Marie Antoinette. Third, thank God for Kanye he continuously is outrageous and I love it (image via JakandJil.com), and lastly how amazing are those glasses? That's all. love the marc jacob wallet..
Oh MY that Kanye picture makes my eyes bleed ahahaah :) Although Farnsworth Bentley is really pulling his look off!